What are wind energy generators? Wind is a rich source of renewable energy. The wind flow patterns over the earth’s surface are modified by many factors like irregularities of the earth’s surface, rotation of the earth and also by the uneven heating of the atmosphere by the sun. Even the water bodies and the vegetative covering also contribute generously in the wind flow patterns. This wind flow produces motion energy, and it is this motion energy that is harnessed into mechanical energy or wind energy. 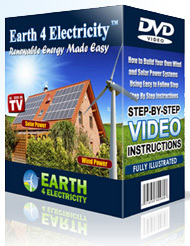 Harvesting the motion energy is done by a wind energy generator like the wind turbine or a windmill. Wind energy generators: how do they work? There are two types of majorly used wind energy generators to harvest wind into mechanical power namely, wind turbines and wind mills. Wind turbines use the wind energy to produce electricity while windmills are deployed to harvest the wind resource for generating mechanical power like grinding cereals, pumping water etc. Wind turbine, however, being the most modernized technique of generating electricity is being highly utilized these days. Let us have a closer look at which of the two wind energy generators is more efficient and economic. Wind turbine is based on a very simple principle. A typical wind turbine consists of two or three blades equipped with a rotor. The rotor connects to a main shaft. This shaft again spins a generator which produces electricity. Mounted on a high tower wind turbines can capture the most energy. At a height of around thirty meter (100 feet) from the ground the wind is usually pretty faster and much less turbulent. Thus a wind turbine at such a height gives a decent output of electricity. The output efficiency of a windmill on the other hand solely depends on the number of its blades. More blades mean more energy. Another important and basic factor that regulates the windmill efficiency is the wind speed of a particular area. The minimum wind speed needed for a decent output by a windmill is more than 15 miles per hour (mph). Based on the function windmills are again classified into various types namely, wind pumps, tjasker etc. A windmill that is used for pumping water out of a draining land or well is known as a wind pump. Wind pumps are largely being deployed these days for human use and drinking water for the cattle. Tjasker is another type of drainage windmill applied for raising water in areas where a low head is needed. Thus a close comparison of the two wind energy generator devices resolves the confusion that which one is more efficient or economic. It all depends on the wind flow, requirement and usage. Wind energy generators: gain or a pain? The underlying and obvious truth about the wind energy generator as the fastest growing energy source under the sun is that the resource is free like wind! Yes, apart from being a free resource wind is also a clean source of fuel that never pollutes the air like the conventional power plants. The power plants use fossil fuels like natural gas and coal that emit greenhouse gases and acid rains thereby causing depletion of the atmospheric layers. Thus the advantages of wind energy are plenty. Wind power is a renewable resource that will never get exhausted. Also the windmills or wind turbines are quite economic as they can be built on ranches in the rural parts which are supposed to be the best wind sites. The land is still usable by the farmers as the machine occupies only a small fraction of the farm land. Also the farmers lease their land for rent to the wind power plant owners. Although highly rewarding, wind power generators pose a few disadvantages also. The main disfavor of wind energy is the intermittent supply of wind. Wind flow, the basis of wind energy is an involuntary phenomenon and does not always pamper the requirement on time. Also most of the best wind sites are remotely located from the areas where electricity is actually required. The usage of land again by the wind power plants seems to be favoring the other alternative usages that are apparently being more valued than electricity production. A lot more has to be done technologically and thoughtfully so as to take care of the issues like noise pollution (generated by the rotor blades), avian mortality (bats and birds being killed while flying into the rotors) and the visual impacts posed by the wind power plants. Improvising technologically and locating a wind site wisely could help a lot. Despite the disadvantages the wind power plant is the most happening and conscious evolutionary step of the modern earth and is definitely a gain for us.